Now that the Samsung Galaxy S5 is out of the way, the next big things from the South Korean manufacturer will the usual spin offs like the Zoom, Active and Mini variants. The Galaxy S5 Zoom aka K Zoom has been making the rounds in the rumorland for quite a while now. 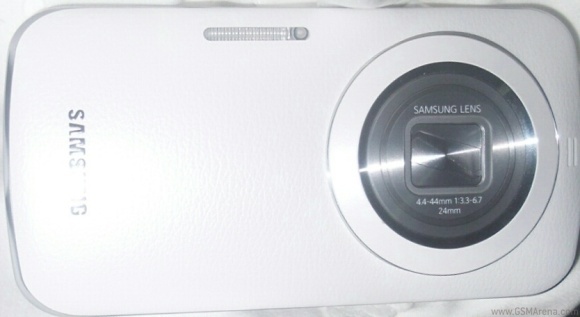 The Galaxy S5 Zoom has passed through the FCC and the official announcement might just be around the corner. The report from the Fedral Communications Commission confirms that the model number of the K Zoom will be SM-C115 and reveals that the upcoming smartphone will support NFC and LTE connectivity. If the rumors are to be trusted, the S5 Zoom will sport a 4.8-inch Super AMOLED display with a resolution of 720 x 1280 pixels. The device will be powered by the company’s new Exynos 5 Hexa chipset with six-core CPU and 2 GB of RAM. The camera department will see a 20.2 megapixel rear snapper with 10x optical zoom and Xenon flash. It is said to come with optical image stabilization among host of other new features. There is no word on pricing or availability details of the Galaxy S5 Zoom, but we will know more when the smartphone goes official. If thats true I don't think you'd be here checking out the new phones, true?